Some cars are rare for a reason, and the Land Rover Discovery MPi is a case in point. In principle, it made sense. Following its successful launch in 1989, the Land Rover Discovery became a very strong seller. But while the 2.5-litre 200TDi made up for the mainstay of sales, the V8-engined petrol models weren’t an efficient choice for British motorists. In addition, some company car tax regimes at the time made it impossible for buyers to choose a car with an engine capacity above 2.0-litres. As a result, uptake was slow. 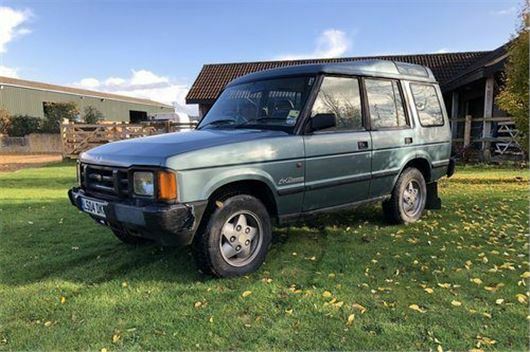 Fewer than 1200 were made before Land Rover realised the model wasn’t worth continuing with in the UK, though it did remain on sale in some overseas markets right up until the introduction of the Discovery 2 in 1998. Today, less than 50 are know to survive.